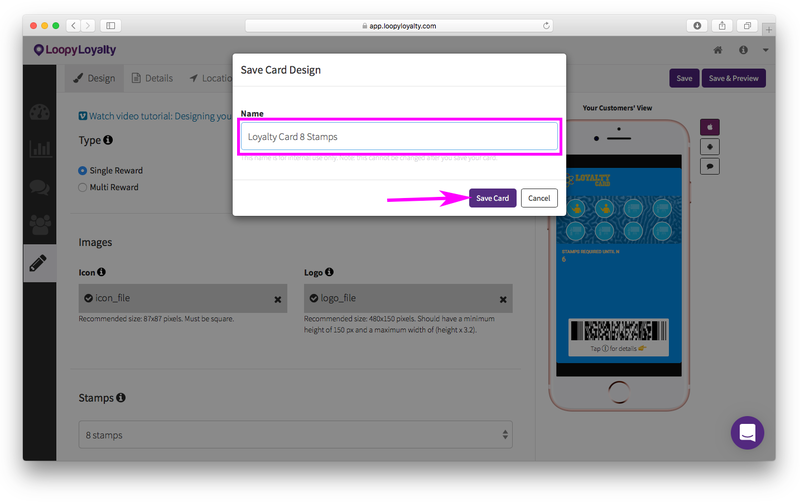 Once you've designed your card, added your loyalty program details and additional customizations, it's time to activate your card! 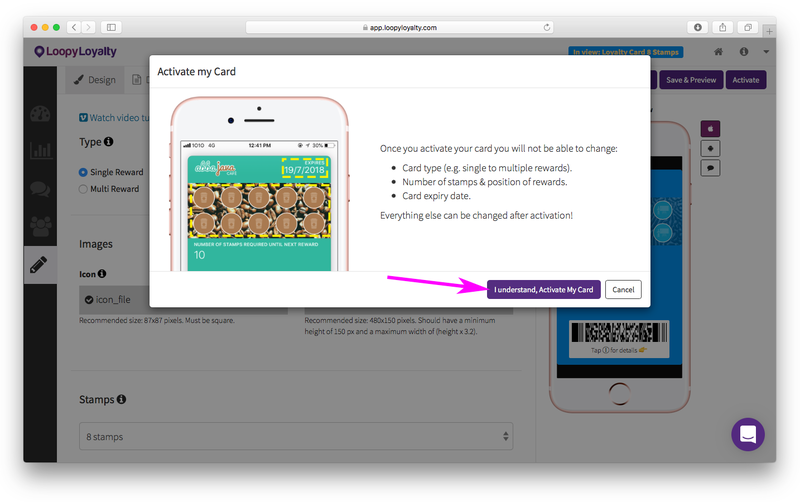 We would advise that you preview your card in your device before activating. 2 - Give your card a name and click 'Save'. This name must be unique. 3 - Click on the 'Activate' button. 4 - Click on the 'Activate' button. Please ensure that you are 100% happy with your card design before activating. Once you activate your card, you won't be able to change these things. 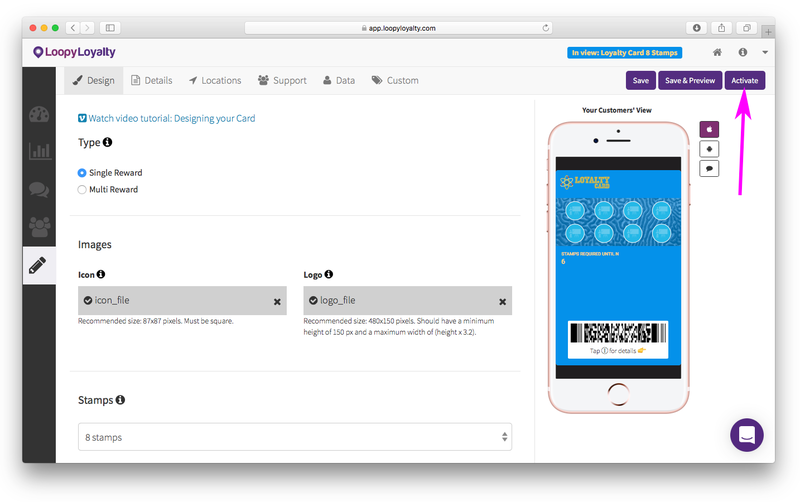 Before sharing this URL to customers, test out the card by installing it in your device. 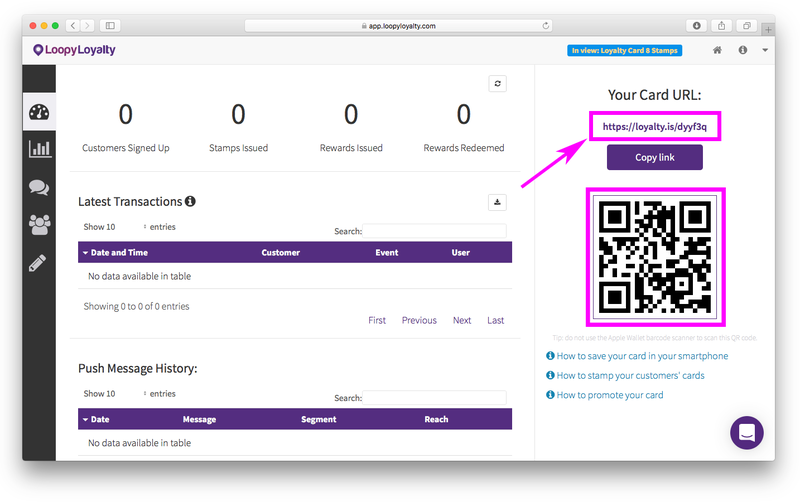 Open the URL or scan the QR code as shown below. We'd also recommend that you issue a few stamps to yourself to test out the stamping experience with the app. Here are instructions on how to use the app. Note: to test the stamper app, you will need 2 devices. One with the stamper app installed and one with your digital stamp card installed.